Our goal at CBI is to be a central resource location for Jewish social action information to our congregants, local community, community organizations and individuals looking for ways to make a positive impact on the world. We make every effort to provide a Jewish framework that would motivate all Jews, regardless of affiliation, to become social activists. Abrahamic Alliance International brings together Christians, Muslims, and Jews for charitable and benevolent causes. 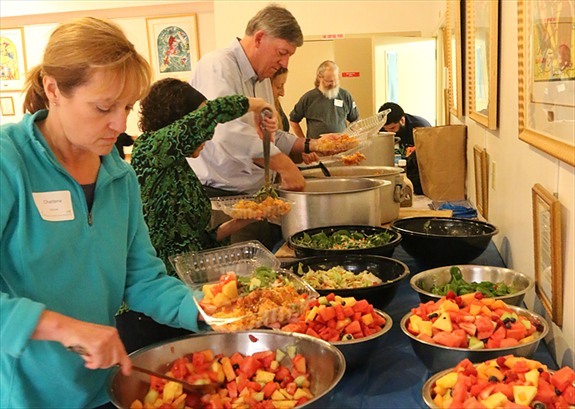 On April 10, 2016, we met at Congretation Beth Israel to prepare meals for the homeless in the area. For more information and for additional photos, please click here. You Can Make A Difference — Here’s How! Monterey County Food Drive – One in five Monterey County residents (90,000) are served annually by the Food Bank. Nearly half of them are children. CBI is joining other local faith communities to stock the Food Bank shelves for the winter and is maintaining food collection barrels in our foyer. Please donate non-perishable food items to the Monterey County Food Bank. If you prefer, an easy alternative is to participate in the “Buy Food for a Hungry Family” virtual food drive by making a monetary donation to www.foodbankformontereycounty.org. I-HELP – Additional donations of men’s socks, undergarments, coats and sweatshirts are greatly needed during the winter season. Donations can be dropped off at CBI and will be distributed at the dinner each month. 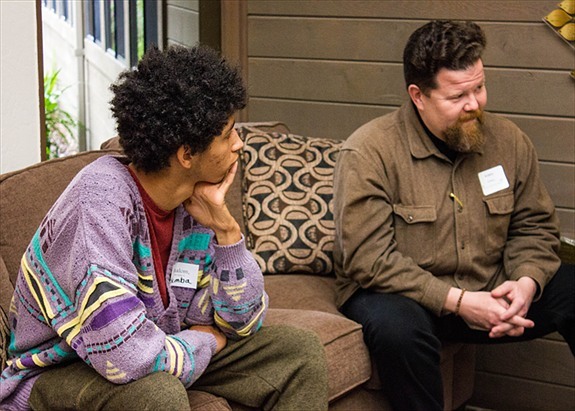 Over 15 years, CBI has partnered with I-HELP (Interfaith Homeless Emergency Lodging Program) in offering homeless single men resources needed as they make their way from the streets to permanent housing. 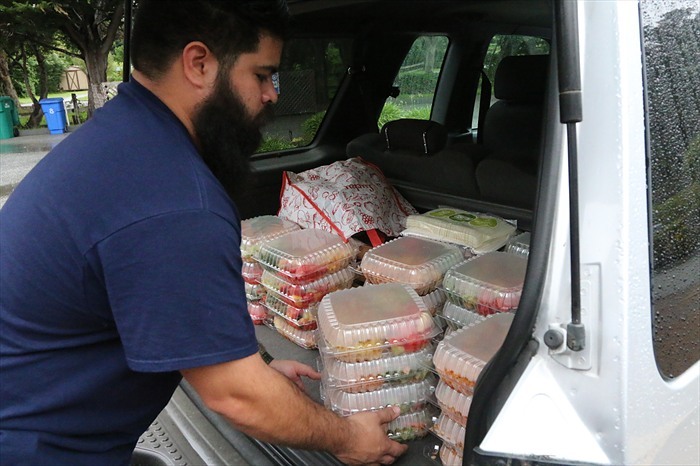 We are proud to join Shelter Outreach Plus and more than 60 area churches, synagogues, temples, and religious organizations in providing homeless men with hope and opportunity for a better lifestyle by offering nightly shelter, a hot meal, and encouragement. By day, I-HELP includes job placement and housing assistance, clothing, support and referrals.